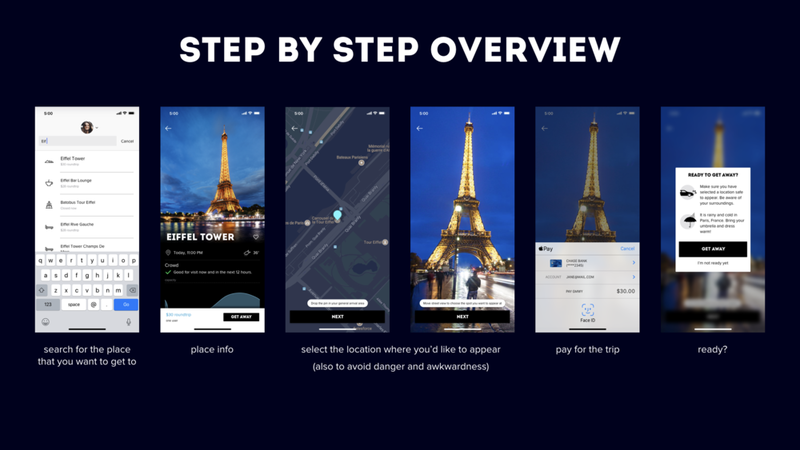 A company I interviewed with gave me this design challenge -- create an iOS app that uses teleportation to transport you from one place to another instantly. I absolutely enjoyed working on the subject matter and would love to share my take on it with you. 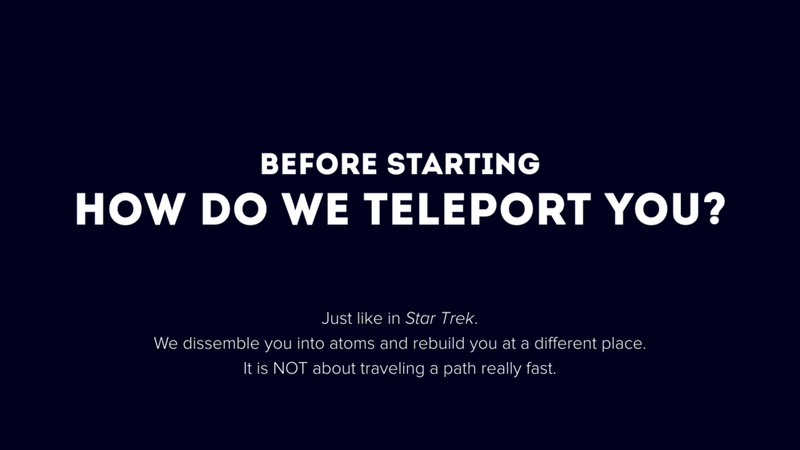 Conversation with my design peers about teleportation! Due to the constrain of time (a few hours, according to the requirements), I didn't explore other business opportunities beyond the required. However it would be quite interesting to explore other business opportunities brought by this huge change in the lifestyle. So what do you think? What would you do as a UX professional, if something magic is made possible?